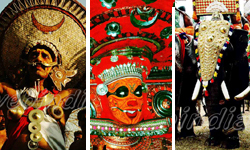 Legends speak of Kerala as Parasuramakshetram, 'the land of Parasurama'. 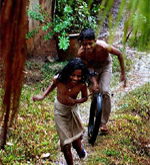 The land of Kerala is believed to be a gift of the Arabian Sea. Owing to its favourable location this land fostered trade and established contacts with Egypt, Assyria, Greeks, Romans and the Chinese. 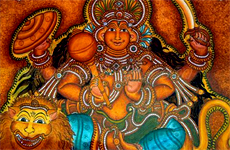 The Malayalam era 'Kollavarsha' is believed to have started in the 9th century A.D. During this period of internal strife in Kerala, Cheraman Perumal founded the Chera dynasty (9th century AD). In about 1498 the Portuguese came to Calicut and in 1502 to Kochi. Traditional folk dances are of great variety. One of the most charming is the Kummi, where the rhythm of the song and steps begins in slow beats and gets exciting acceleration as well as complication. 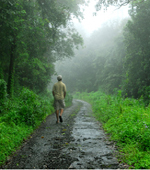 Kerala is a small state, tucked away in the south west corner of India. It represents only 1.18 percent of the total area of India but has 3.34% of the total population of the country. It is separated from the rest of the peninsula by natural geographic boundaries. 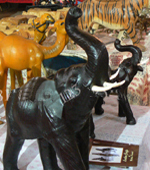 Coconut shell craft is a popular craft in Kerala as coconut trees are found in abundance here..